Mixed Martial Arts sometimes gets a bad rap for being glorified, street fights performed by barstool Neanderthals. BeeJay Smith of the Nemesis Fighting Alliance wants to help change that perception. "My goal is to show MMA 100-percent legal and 100-percent legit and is the future of sports," Smith said. 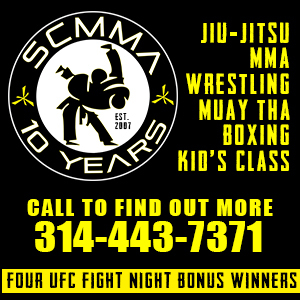 "I want to improve the image of local MMA. I will be trying to work with as many high school and charity organizations as possible. I want to educate the public while simultaneously creating excitement for the fans." On March 17th NFA will team up with the Fredericktown Senior class for what they're calling The Blackcat Bash. Smith will be donating 100-percent of the proceeds from the event to the Fredericktown Project Graduation. This is a program that will allow graduating seniors an opportunity to take part in some kind of safe post-graduation event, whether it is a trip or some kind of supervised party. To help make sure the event is run the safest and fairest way possible, members of the Spire Sanctioning Alliance will be donating their time in the form of judges, referees and officials. Also pitching in is Destruction MMA. To help keep costs down, Destruction has offered the use of its 20-foot cage. The weigh-ins will also be held at Destruction MMA's gym in Farmington. Coach Joe Warden's new training facility has a full sized sauna along with plenty of training equipment to help fighters make weight. As fight night draws closer and closer, Smith says the reception so far has been terrific. He predicts a sell out for the 750-person venue. The main even for Blackcat Bash will feature Nemesis Fighting Alliance featherweight champion Daniel Baynton taking on challenger David Smith. Baynton, a product of Team No Remorse, trains alongside other amateur champs like Steve Rustemeyer and Tony Souders. Though he has dramatically improved his stand up, Baynton's bread is buttered on the ground, winning most of his fights by armbar. Smith trains with Team Defiance in Petosi where he mixes it up daily with tough guys like Bill Dwyer, Brandon Aubuchon, and Justin Werts. Smith has very strong wrestling, and always looks to be in control of the fight. This one could easily end up on the ground where both fighters will be able to showcase their high-level skills. For Smith, matchmaking outside St. Louis has proven to be a bit of a challenge. He is hoping to feature talent local talent to the Fredericktown, Farmington, St. Genevieve areas but the biggest problem is trying to gauge the skill level of fighters in order to make fair fights. Smith hopes this will lead to broadening the local talent pool and bringing the top guys from "down south" up to take on the top fighters in St. Louis. 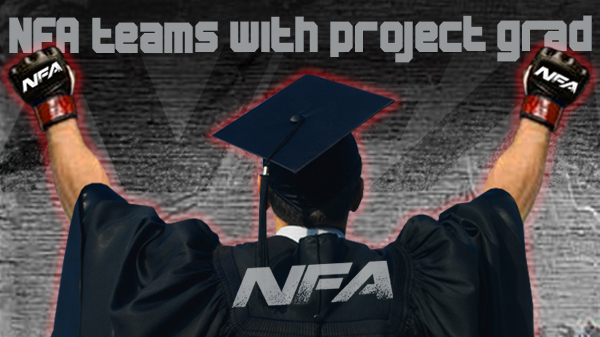 On April 28th, Nemesis will be working with the MMA Sports Federation to host Team USA vs. Team Canada. This event will take place at the Farmington Civic Center which holds upwards of 3,500 people. Three members of Team USA, coached by Joe Worden, will be joined by two local fighters to take on five members of Team Canada.